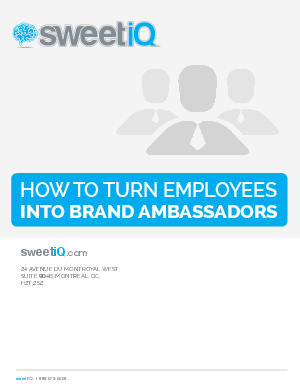 Successful brands, whether big or small, need ambassadors to trumpet their products and services. Product evangelists have been around longer than the web, while celebrity endorsements and all types of brand promoters have existed for a long time. In fact, some historians suggest celebrity endorsements started in the 18th century with royals promoting products manufactured by Wedgwood ceramics. Finding people who can represent you is a task - they are more than influencers. The best brand ambassadors are loyal customers. As you'll discover in this whitepaper, developing them may require some work.